Legal information is not legal advice. The information contained in this web sites, GetNewYorkLawyers and NewYorkLawyersSuccess.com and its associated websites is provided as a service to the online and internet community. Articles are written by attorney and non-attorney writers and do not constitute and are not a substitute for legal advice. 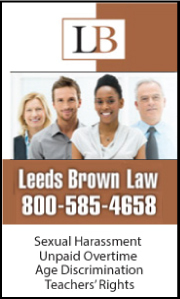 Some advertising services paid for by participating lawyers. 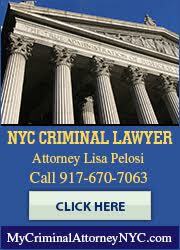 GetNewYorkLawyers and NewYorkLawyersSuccess.com blog are not a lawyer referral service. If you are a lawyer, participating in any aspect of either GetNewYorkLawyers or NewYorkLawyersSuccess.com Site, you acknowledge that rules of professional conduct apply to all aspects of your participation and that you will abide by such rules. We try to provide quality information, but we make no claims, promises or guarantees about the completeness, accuracy, or adequacy of the information contained in GetNewYorkLawyers and NewYorkLawyersSuccess.com or linked to this web site and its associated sites. Nothing provided herein should be used as a substitute for the advice of competent counsel. The user of GetNewYorkLawyers and NewYorkLawyersSuccess web site acknowledges that GetNewYorkLawyers and NewYorkLawyersSuccess web site is protected by copyright law. 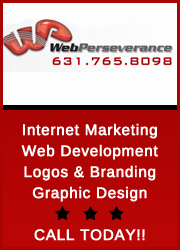 Copyright © 2008 by GetNewYorkLawyers and 2009 by NewYorkLawyersSuccess blog. All rights reserved. The user of GetNewYorkLawyers and NewYorkLawyersSuccess web site is granted a nonexclusive, limited license to view and retrieve information on GetNewYorkLawyers and NewYorkLawyersSuccess web site solely for personal, non-commercial reference. No portion of GetNewYorkLawyers and NewYorkLawyersSuccess web site (including information retrieved therefrom and underlying source files) may otherwise be used, modified, copied, republished, duplicated, distributed or sold in any manner or by any means without the express written consent of GetNewYorkLawyers and NewYorkLawyersSuccess web site. Nothing contained herein shall be construed to grant the user of GetNewYorkLawyers and NewYorkLawyersSuccess web site any right, title, interest or license in any copyright, trademark or other intellectual property right pertaining to or contained in GetNewYorkLawyers and NewYorkLawyersSuccess web site. Prices for advertising on GetNewYorkLawyers and NewYorkLawyersSuccess web site are fixed at your purchase price at the time of purchase for the term of your contract (monthly, quarterly, every 6 months or yearly). Prices are subject to change without notice. Your contract will automatically renew at the monthly, quarterly, every 6 months or yearly published price when your contract expires, until you either purchase additional months or terminate your account by notification to GetNewYorkLawyers and NewYorkLawyersSuccess web site. You agree to not hold GetNewYorkLawyers and NewYorkLawyersSuccess web site liable for any interruption in service or access to your files or information. GetNewYorkLawyers and NewYorkLawyersSuccess web site shall in no way be liable for business interruption losses, lost profits, lost business opportunity, or any other direct, indirect, or consequential damages you may suffer as a result of any down time, interruption, lack of access, system failure, or data loss by this system. GetNewYorkLawyers and NewYorkLawyersSuccess web site may not have a current backup of your files. Due to power interruptions, “down time” and/or other factors beyond GetNewYorkLawyers and NewYorkLawyersSuccess web site’s control or due to any computer or software malfunction, your data may be lost by GetNewYorkLawyers and NewYorkLawyersSuccess web site. Therefore, you are responsible for backing up your own files. GetNewYorkLawyers and NewYorkLawyersSuccess web site shall not be responsible or liable for lost data. GetNewYorkLawyers and NewYorkLawyersSuccess web site users shall not remove or obscure (by framing or otherwise) any portion of the Site including, without limitation, any advertising, any copyright notice or any other notice. Although GetNewYorkLawyers and NewYorkLawyersSuccess web site attempts to provide accurate information on all lawyers, law firms and legal services having offices within New York areas indicated, GetNewYorkLawyers and NewYorkLawyersSuccess web site relies on the lawyers, law firms and legal services and other sources to provide such information. Therefore, GetNewYorkLawyers and NewYorkLawyersSuccess web site does not warrant the completeness or accuracy of the information presented in GetNewYorkLawyers and NewYorkLawyersSuccess web site. Nothing contained in GetNewYorkLawyers and NewYorkLawyersSuccess web site should be deemed an endorsement or recommendation by GetNewYorkLawyers and NewYorkLawyersSuccess web site of any lawyer, law firm or legal service listed in GetNewYorkLawyers and NewYorkLawyersSuccess web site, nor should the omission of any lawyer, law firm or legal service from GetNewYorkLawyers and NewYorkLawyersSuccess web site be considered an adverse reflection upon the qualifications or character of such lawyer, law firm or legal services. All information or description of areas of practice by a lawyer, law firm or legal services does not mean that any agency or board has certified the lawyer, law firm or legal service as a specialist in any field of practice. GetNewYorkLawyers and NewYorkLawyersSuccess web site disclaims responsibility for any injury, loss, liability or damage of any kind resulting from or in any way related to the unavailability of GetNewYorkLawyers and NewYorkLawyersSuccess web site or any errors in or omissions from the information contained in GetNewYorkLawyers and NewYorkLawyersSuccess web site (or any site this website linked hereto). 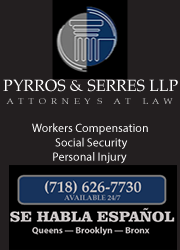 In no event will GetNewYorkLawyers and NewYorkLawyersSuccess web site be liable for any direct, indirect, special, incidental or consequential damages of any kind arising as a result of or in connection with the use of GetNewYorkLawyers and NewYorkLawyersSuccess web site or the information contained herein, regardless of any negligence by GetNewYorkLawyers and NewYorkLawyersSuccess web site. All usage of this site, its information, products, and resources are entirely at the user’s own risk. Users acknowledge that the above shall apply, without limitation, to all content of the service and its products. The information in GetNewYorkLawyers and NewYorkLawyersSuccess web site is not intended to be used as a substitute for legal advice or counsel. 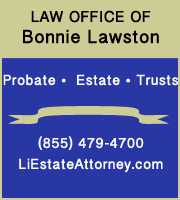 You should seek the advice of a legal professional if you have any questions related any legal matter. GetNewYorkLawyers and NewYorkLawyersSuccess web site is not engaged in the provision attorney or legal services in any jurisdiction. GetNewYorkLawyers and NewYorkLawyersSuccess web site provides the information on GetNewYorkLawyers and NewYorkLawyersSuccess web site “as is” and “as available”. GetNewYorkLawyers and NewYorkLawyersSuccess web site disclaims all express and implied warranties with respect to GetNewYorkLawyers and NewYorkLawyersSuccess web site, including the warranties of merchantability and fitness for a particular purpose. GetNewYorkLawyers and NewYorkLawyersSuccess web site will make every effort to ensure that minors are not abusing its website; however, GetNewYorkLawyers and NewYorkLawyersSuccess web site is not responsible for the activities of minors on the Internet and cannot guarantee that materials on this website will be appropriate for minors. Visitors to GetNewYorkLawyers and NewYorkLawyersSuccess web site are encouraged to perform a credential check on any attorney, law firm or legal services, either through GetNewYorkLawyers and NewYorkLawyersSuccess web site or by other means. Information and content articles contained in GetNewYork Lawyers are written by internet marketing writers and other non-attorney writers. 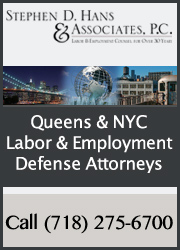 GetNewYorkLawyers and NewYorkLawyersSuccess.com has chosen to list the Attorneys, Lawyers and Law Firms herein on good faith. However, GetNewYorkLawyers and NewYorkLawyersSuccess.com makes absolutely no representations, warranties, or guarantees, (Express or Implied) as to the competence, legal ability, or quality of representation which may be provided by any of the lawyers, law firms or attorneys listed herein. GetNewYorkLawyers and NewYorkLawyersSuccess.com also makes no representation(s) regarding the status of any of the lawyers, law firms or attorneys listed on this web site as certified specialists in any of the areas of legal practice listed herein, or otherwise. 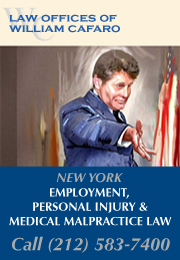 GetNewYorkLawyers and NewYorkLawyersSuccess.com expressly denies liability and undertakes no responsibility for the results or consequences of any legal representation provided by any of the lawyers, law firms or attorneys listed on this web site. 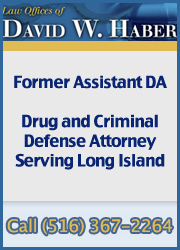 This web site, GetNewYorkLawyers and NewYorkLawyersSuccess.com, may contain descriptions of and mission statements of Attorneys, Lawyers and Law Firms, as well as links to their web pages or websites, which should all be considered lawyer advertisements and and not claims of performance or capabilities. GetNewYork Lawyers offers New York attorney and legal service advertising and prior results do not guarantee similar outcome. The information contained in this web site, GetNewYorkLawyers and NewYorkLawyersSuccess.com, is educational only and should not be construed as offering legal advice of any kind. Information and content articles contained in GetNewYork Lawyers are written by internet marketing and other non-attorney writers. Users of the GetNewYorkLawyers and NewYorkLawyersSuccess.com web site agree to hold harmless GetNewYorkLawyers and NewYorkLawyersSuccess.com and Debra B Feinberg of any or all of the lawyers, law firms or attorneys listed on this web site for any damages resulting directly or indirectly from the usage(s) of this web site. Any communication (electronic or otherwise) sent to GetNewYorkLawyers and NewYorkLawyersSuccess.com or any of the lawyers, attorneys, or law firms listed herein, by it self, will not create an attorney/lawyer-client relationship. By using GetNewYorkLawyers and NewYorkLawyersSuccess.com the user agrees that any usage of GetNewYorkLawyers and NewYorkLawyersSuccess.com is for personal, non-commercial use only.